Golaem Personal Learning Edition (PLE) license is a time-unlimited license which allows you to evaluate, use and learn Golaem. The only difference between a PLE license and the Full Commercial license, is that all Golaem files generated from a PLE license or from a Maya scene saved with a PLE license will be "watermarked" at rendering time or at geometry bake export time. Thus, PLE license or PLE saved Golaem files can NOT be used for production purposes. 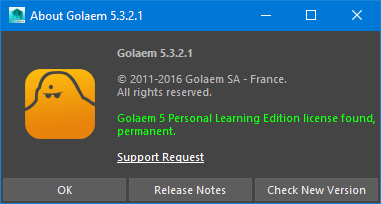 If the Golaem plugin is loaded without a commercial license, it will automatically switch to a Personal Learning Edition (PLE) license. This behavior can be disabled by setting the GLMCROWD_NO_PLE environment variable to 1. 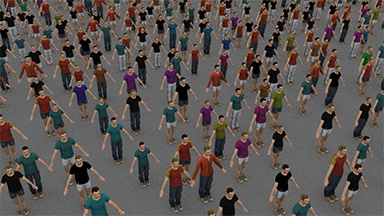 Golaem files exported from a PLE licensed Maya session or from a PLE saved Maya scene will be "watermarked" at rendering time by assigning the Golaem default shader to random meshes. The randomization is consistent from one frame to another to allow making image sequences without flickering effects. 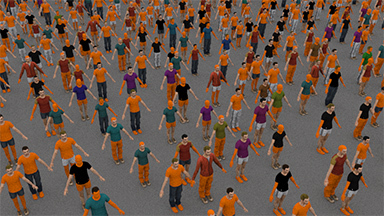 Rendering of a Golaem scene generated with a Full commercial license - Rendering of a Golaem scene generated with a PLE license. 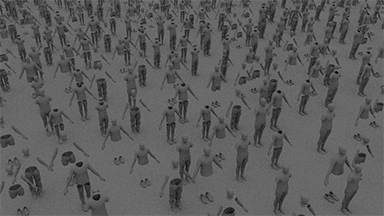 Golaem files exported from a PLE licensed Maya session or from a PLE saved Maya scene will be "watermarked" at geometry bake time by removing random meshes. The randomization is consistent from one frame to another to allow making image sequences without flickering effects. Geometry Bake of a Golaem scene generated with a Full commercial license - Geometry Bake of a Golaem scene generated with a PLE license. 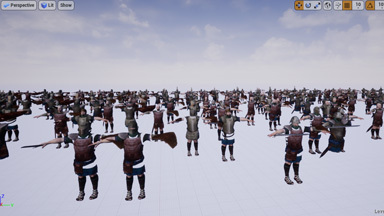 Golaem cache exported from a PLE licensed Maya session or loaded with a Golaem for Unreal with a PLE license will be "watermarked" at geometry level. 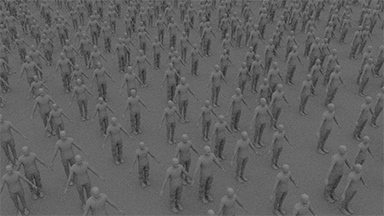 The randomization is consistent from one frame to another to allow making image sequences without flickering effects. Unreal Engine Replay of a Golaem cache with a Golaem for Unreal license - Unreal Engine Replay of a Golaem with a Golaem for Unreal PLE license. if a Golaem scene saved with a PLE licensed Maya session, it'll be tagged as PLE and all files generated from this scene will be watermarked. 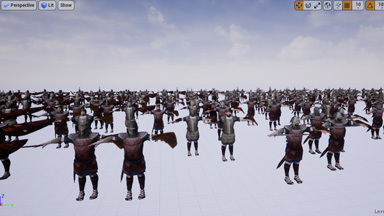 if a Golaem scene generated with a PLE licensed Maya session is saved from a Full commercial license, it'll stay tagged as PLE and all files generated from this scene will be watermarked. To check if your files are contaminated with a PLE, one can use the MEL function glmGetSceneLicenseCheck() or the glmCheckLicense command with the savedWithPLE flag.